This November, Congress quietly passed a Bill named HR2112 with little public notice, removing a portion that for the past 5 years had restricted government funding for USDA Inspectors to inspect horseflesh for export. Effectively, the removal of this section allows for the return of US horse slaughter, and on our tax dollar dime. It was signed into law on November 18, 2011, despite a large percentage of Americans being against the slaughter of horses for human consumption. OVER 100,000 AMERICAN HORSES A YEAR ARE AT RISK, AND ONLY YOU CAN HELP! Currently, another bill sits quietly in Congress, waiting for US citizens like you to scream and yell that you want it voted into law! That's bill H.R. 1094, Safeguard American Food Exports Act of 2013. Tell your Congress Representative that YOU want them to support the Safeguard American Foods Exports Act of 2013 (SAFE Act). The Safeguard American Foods Exports Act is titled as a bill to "prohibit the sale or transport of equines (horses and other members of the equidae family) or their parts (including flesh, meat, and viscera), or the importing or exporting of equines or their parts into or out of the United States, by any person who knows or should have known that such equines are to be slaughtered for human consumption as food." Here's how: Follow this link to find out who your Representative is: FIND MY CONGRESSIONAL REPRESENTATIVE. Write them a calm letter stating clear reasons that you don't support our US horses being slaughtered for human consumption. Here's a good sample letter, but feel free to personalize. Refrain from expletives (I know, it's hard), and try to remember that a concise letter that is factual and professional will have more impact than an emotional rant. An emotional letter is likely to not be read to completion, and is counterproductive. As your constituent, I am writing to ask that you cosponsor and support the Safeguard American Foods Exports Act of 2013 (SAFE Act) (HR1094). I have no monetary interest in this matter, I am simply asking you to do the right thing. This Act bans the sale or transport of a horse or horseflesh for human consumption. If you already advocate the passage of HR 1094, I thank you. If not, I ask you to consider why so many Americans oppose horse slaughter. Americans don't eat horses. Horses are our companions in sport, recreation, work, and entertainment; and are a living symbol of the pioneer spirit. Horses are not bred as a food animal, and thus are not raised in or under FDA rules for "food animals." Slaughter is not a humane death, and is not equivalent to euthanasia. The methods used to slaughter horses were designed for cattle and smaller animals, and are not effective nor humane for any equine. Captive Bolt pistols meant to render the horse unconscious rarely do so on the first strike, and horses must endure being struck multiple times in the face or head with a 4 inch bolt. Often horses are not rendered fully unconscious, and are slaughtered while still aware. History has shown that the horse slaughterhouses that had previously operated in the US were a drain to their community; creating multiple environmental problems, a decrease in home and land values, and a large social stigma about the community. Proponents cite that horse slaughter "saves" surplus horses from neglect, abandonment, and starvation. In fact, neglect, abandonment, and starvation are illegal. Offenders should be criminally charged, and not allowed to profit from their crimes. Additionally, an increase of slaughtered US horses has not reduced known causes of neglect and starvation in the past. 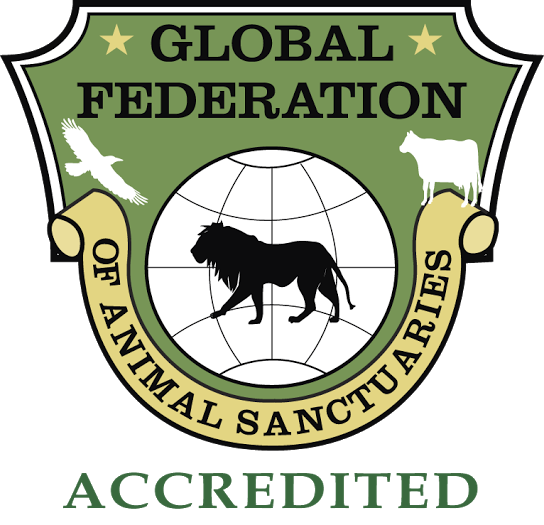 Animal cruelty should never substitute for responsible animal stewardship. 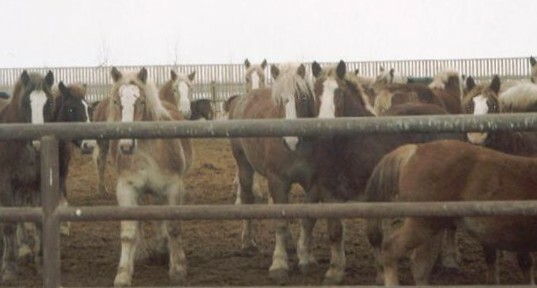 Excess horses are human created, resulting from over breeding in industries such as Premarin production (HRT drugs made from pregnant mares urine), the horse racing industry, the show horse industry, riding stables, etc. Rather than analyzing the viability of new slaughter plants, proponents and regulators ought to focus on irresponsible breeding and guardianship. Please support the passage of HR1094, the Safeguard American Foods Exports Act of 2013. Please vote to stop the restoration of horse slaughter. Many people complain that it would be more humane to have horses slaughtered in the US than outside of the country because the USDA would better monitor the process. However, horse slaughter is never humane, even in the best of circumstances, and we don't want to see it anywhere. Here's a news story from Canada, where current methods mirror those used in the US. Anyone would be naive to believe that the same errors and mismanagement had and WILL occur in US plants. Expert Temple Grandin speaks about why this method is absolutely unacceptable and inhumane. This video is not overly graphic, so do not be afraid to watch. What Does Gentle Giants Do About It? We go head first into the East Coast horse auctions frequented by meat buyers, and we outbid the "meat men." Gentle Giants is conscientious to only purchase horses being sold to meat. Very few people are aware that many privately owned horses sold at auction are in grave danger of being purchased for slaughter. Selling horses for meat is a lucrative and easy business, as horse meat is considered a delicacy and is in high demand in Canada, Europe, and especially Japan. Most meat buyers have a per pound price they are willing to pay for a horse. Depending on the market, exported horse meat brings $14 to $18 a pound, so a "meat man's" bid can be competitive with that of a private buyer. This puts draft breeds in particular danger as they are large, easy to fatten, and have lots of muscle. Notice the 4-digit yellow tag at the wither... This is a USDA export tag, and once a horse has one of these, it's fate is sealed and it can not be purchased. The 3-digit tag is the sale barn tag. These horses have sold to slaughter and can not be saved. Over-breeding is the only cause of unwanted horses, and this is a human created problem. Asking horses to pay for human stupidity, indifference, mismanagement, and greed with their blood and life is not "humane." Slaughter is not an answer to the unwanted horse problem. Horses have been slaughtered at approximately the same rate for the last 7 years, despite the cost of horses dropping significantly. That fact proves that a surplus of horses WILL NOT result in more horses being slaughtered, which in turn means slaughter does not help reduce the unwanted horse population. Greed and cruelty should never be used in place of education and responsible stewardship of our equine companions. If you are not comfortable with this picture being a horse YOU BRED, YOU OWNED, or YOU RODE, then you need to oppose horse slaughter. Every horse slaughtered was somebody's horse once. Don't think it couldn't be yours.